Let the fun begin! It was great to see you arrive on Saturday with huge smiles and packed full of excitement for all the fun and games to come. The first group to arrive was 1st Stoke Climsland Explorers and Scouts at a shocking 6:30am, eager bunch aren’t they! 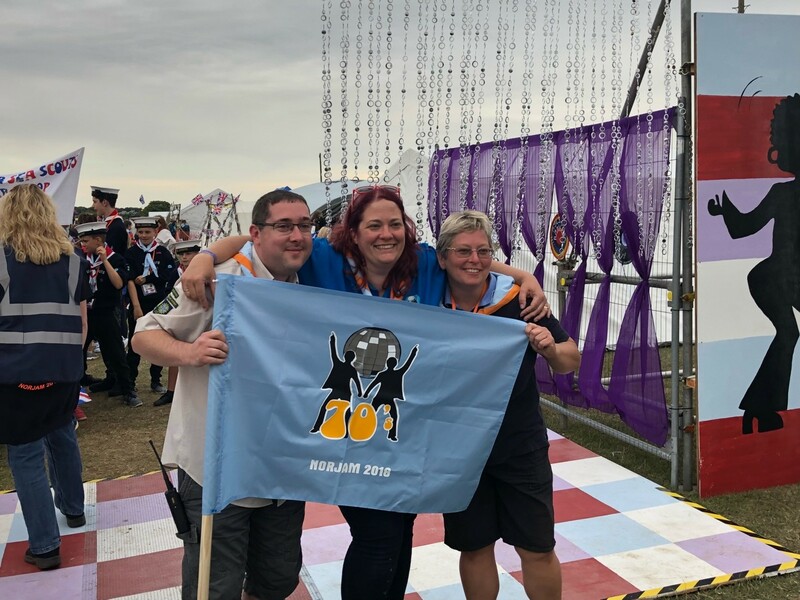 It was awesome getting to meet each contingent and some of you look like you’ve packed for a two week holiday with the amount of stuff you’ve brought, hopefully you’ve got some ace 70s costumes in there. Then came the Welcome Ceremony. Our sub camp was definitely the loudest, and the massive bright banner created by Hertford Scouts was unbelievable! The music was amazing with all of the classic hits and it was great to see everyone getting their groove on. Yesterday marked the first day of activities, starting off with the Adventure Fields. Even though the weather wasn’t the best, you all still had a blast and got involved in the activities. 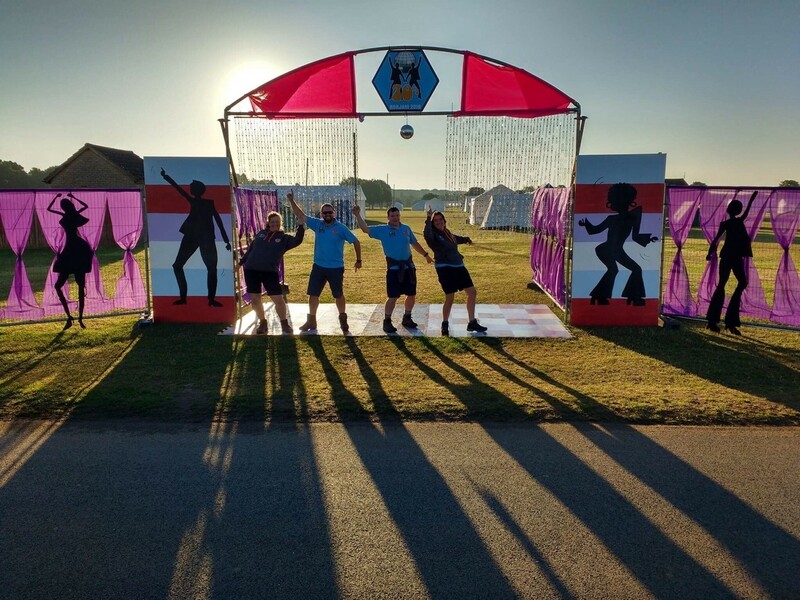 11th Norwich Sea Scouts and Earlham Scout Group were most looking forward to the zorb balls activity and they were the most popular activity on Sunday morning! Most importantly you all had a fantastic time and enjoyed trying new things and meeting new people! 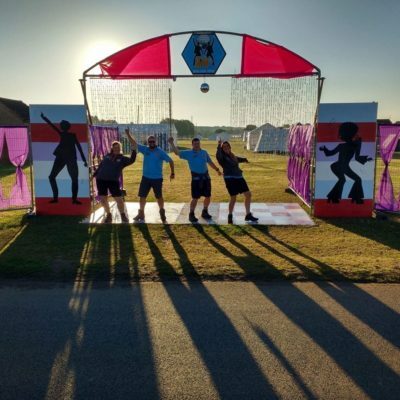 Let’s see what the rest of the week has in store for us and don’t forget to come chill out with us during the day and get crafty, or come to our mini disco in the evenings. Remember, stay groovy!